For top quality and value for money. Featuring a solid aluminium shaft with a flexible, yet highly durable plastic blade. It will withstand the daily hits from the unavoidable learning curve. An adjustable range of 170 – 210 cm gives everyone, no matter what size, a chance to have a go. 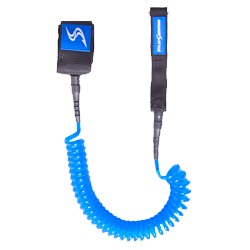 Available in 2 and 3 pc adjustable versions. Best suited for schools and travellers. The perfect paddle for riders looking for a lightweight, carbon/glass fusion blade and shaft for racing, wave riding and all-around cruising performance. It features a lightweight carbon pre-preg shaft for the optimum blend of stiffness and flex-curve. The carbon/glass matrix pre-preg blade is incredibly lightweight and impact resistant. Fitted with a vario system which makes it easy to adjustment the length of the shaft. Very user-friendly and great value for money! A pure performance paddle, no compromise, all power, supreme stiffness, minimal weight. A well balanced blade design with a medium dihedral providing great stability and good power. 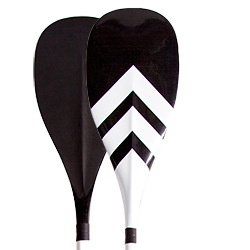 It is an all Carbon paddle designed for ultimately serious paddlers. Whether you are looking for the perfect turn in your home break or going touring with your friends and racing them, this paddle will always perform at its ultimate best. 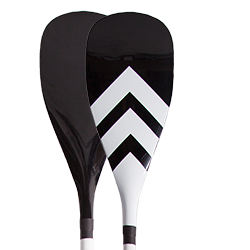 A perfect choice for both professional paddlers and lighter experts looking for a stiffer paddle as well as heavier paddlers. Its length can be custom tailored to every paddler’s height. 100% K3 Pre preg Carbon / oval design for stiffness. Great entry level paddel. Featuring a solid aluminium shaft with a durable plastic blade. With an adjustable range of 110 – 210 cm gives everyone, no matter what size, a chance to have a go. Available in 3 pc adjustable versions. 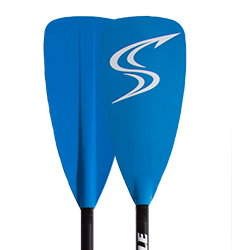 Best suited for schools and entry level paddlers.